When it comes to running this blog, I’m not nearly as technical as some of my peers. In fact, I try to keep the hosting environment has much of a black box as possible. I want to be able to focus on blogging – not tweaking servers, configuring settings, dealing with staging environments, caching, CDNs, and all that normally comes with major projects. That isn’t to say I don’t do that for the projects on which I work – there’s a time and a place for everything – but my goal for this site is to focus on blogging. To that end, when it comes to hosting, I don’t look for something that offers the greatest feature set with all of the fancy knobs to turn and tweaks to make. Instead, I look for something that works well, that performs quickly out-of-the-box, that has great support (when needed), that grants me S/FTP access to my files, and then let’s me get on with blogging with minimal hassle. 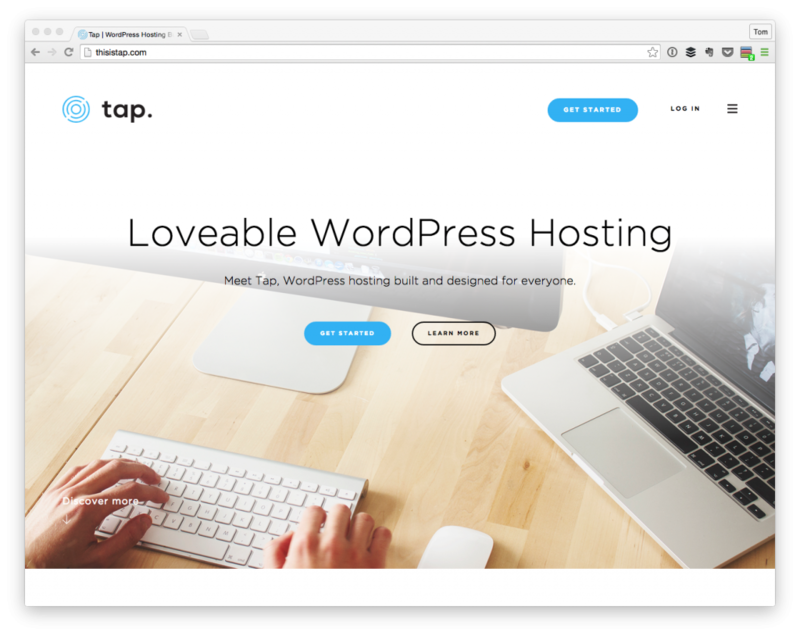 For the past few months, I’ve been trying out Tap WordPress Hosting and, generally speaking, I’ve been really impressed. We wanted to host a WordPress website in the time it took to make a coffee (or tea). So we designed Tap to be beautiful because we like pretty things and built it to be easy to use because we hate confusing things. Well guess what? Now we can host a website in less than 30 seconds and because we’re so kind, so can you and anyone else who loves using WordPress. And to their credit, they’ve done a great job and making it possible sign up, pick a plan, and then begin spinning up WordPress sites. Perhaps the reason that it works so well is because it was designed to scratch an itch that they personally experienced. You have access to your current sites and you have the ability to add a new site. And within minutes of ‘adding a new site,’ you have a site that’s fully provisioned and ready for you to begin using WordPress. Again, note that this is particularly for people who are primarily interested in having simple, no frill WordPress hosting. If you’re looking to go beyond to classic WordPress installation and S/FTP access, then this is not the type of host you’re looking for. But if you’re looking for something simple, straightforward, and easy-to-use, then this is a strong contender. Check out the prices to see what I mean. Regardless of the the nature of your host – no matter how complicated or how simple – support is key. It can make or break a business. Personally speaking, I’ve yet to have a negative experience with the Tap team. Not only do I get a response in at least 24 hours (most of the time, much sooner, which is funny considering I’m across the pond from them), it’s also extremely friendly and personable. You really do feel like you’re talking to a person versus some automated troubleshooting system working through a pre-defined set of rules on how to diagnose a problem. At the time of this writing, a new support ticketing system should be rolling out, as well. So for anyone who ends up purchasing a plan this week or who ends up getting in after this particular contest is over, then you’re going to find it already in place. And if it’s an improvement over what’s in place, it’s going to be great. 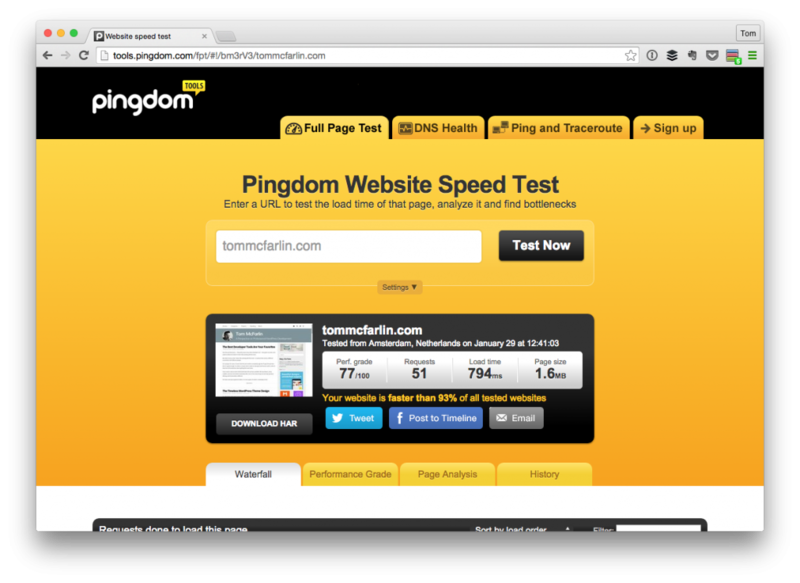 The overall load time was 794ms with a page size of 1.6MB at 51 requests. There’s plenty of room for improvement given that the performance grade is 77/100 but a lot of that has to do with some of the things that I have running along side my current theme. Regardless, less than a second to load up the site isn’t bad at all. I’ve been content and could probably squeeze a little more performance out of if were I to spend time tweaking some of the suggested issues. 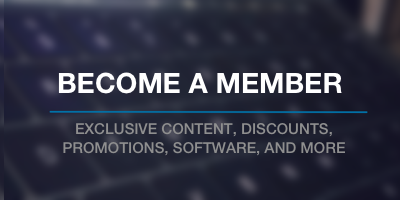 Anyway, all of that to say, Tap’s been a great host for a simple, straightforward WordPress installation that has a primary focus on blogging and I highly recommend it to anyone who’s looking for a place to host a WordPress site (or sites, even!). Once done, you’ll be entered. Then, in one week from today, I’ll pick 10 people from all who entered and will contact you directly (so don’t forget to leave your email address in the comment form!). I think tap is pretty awesome for a straight forward WP experience without having to commit to a plan. The biggest difference I see from the wordpress.com is just having under the hood access without having to mess with a FTP. For experienced users, they might like having FTP access to edit files via file editors (I can’t live without my Coda >.>) . For someone who wants to test drive the (.org) version without committing to a hosting service, this is awesome. I am going to recommend Tap to a few of my instructor friends. Most schools are incapable of providing website servers/hosting services. Students are required to go out on their own into the wild and somehow provide this for themselves without having the experience of installing/maintaining a WP installation. 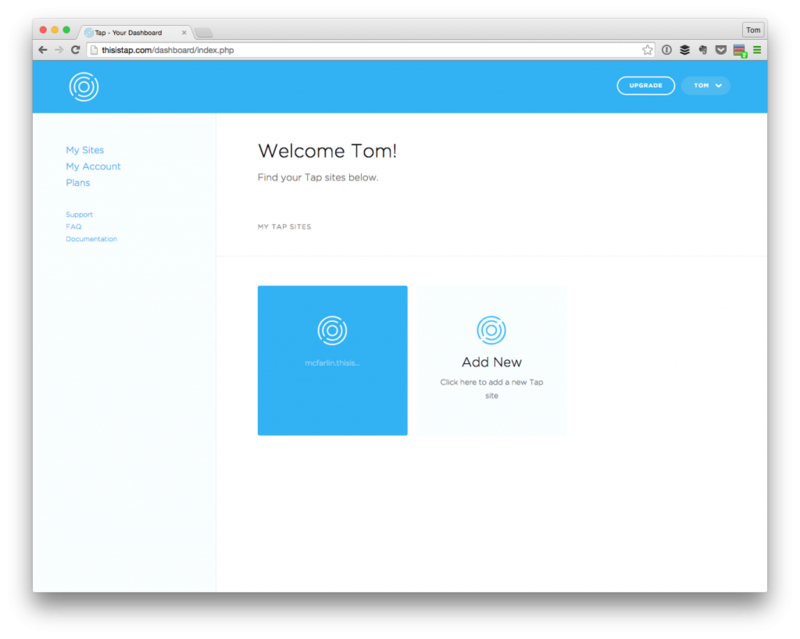 Tap is going to be amazing for introducing beginner WP development in the classroom.